Schultheis Brothers Co. is a respected heat and cooling company providing a wide range of HVAC services. Schultheis Bros. is also known as a high quality comprehensive plumbing company in Greensburg. An impressive team of trained and experienced professionals provide the highest level of service and standards in the industry. 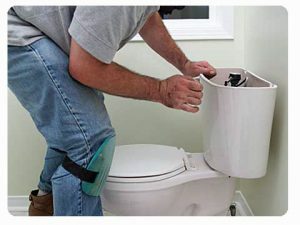 A licensed mater plumber has the hands-on experience to provide solutions to any plumbing problem that may arise. If you are in need of a residential or commercial plumbing company in Greensburg or the surrounding area call 412-793-8000 today and speak with a friendly and knowledgeable representative. You can also fill out the contact form on the right or email us at info@schultheisbros.com and we will respond shortly. At Schultheis Bros. Co., experienced professionals provide a wide variety of commercial and residential plumbing services in the Greensburg area. Ask about the comprehensive preventative maintenance services to help prevent problems before they start. Schultheis Brothers works hard every day to refine the latest methods in order to become more efficient, helping to reduce costs and provide you with affordable plumbing services in Greensburg. If you are in need of a residential or commercial plumbing company in Greensburg or the surrounding area call 412-793-8000 today and speak with a friendly and knowledgeable representative.